allowed to enroll in the Doctor of Medicine (M.D.) 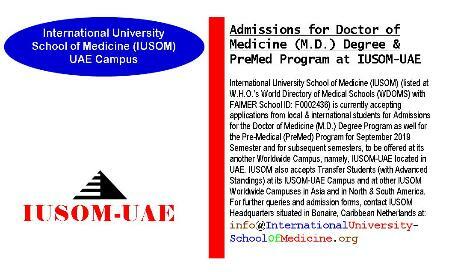 Degree Program at IUSOM. During this PreMed education program at IUSOM, the students are provided solid foundations for attending M.D. destination of medical practice after acquiring their M.D. Degrees. Medicine (M.D.) 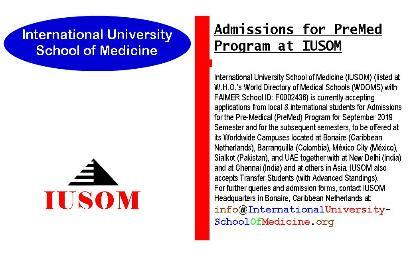 Degree Program at, for instance, IUSOM Main Campus, in Bonaire, is tabulated below. 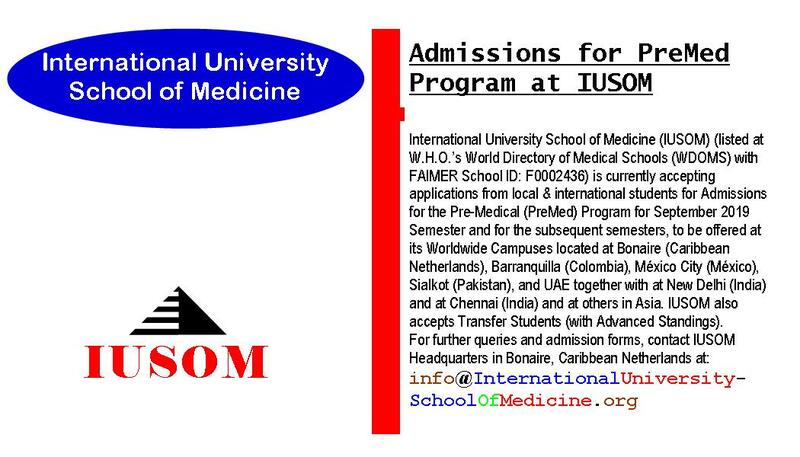 For viewing detailed PreMed Program Curriculum being offered at IUSOM, click here.